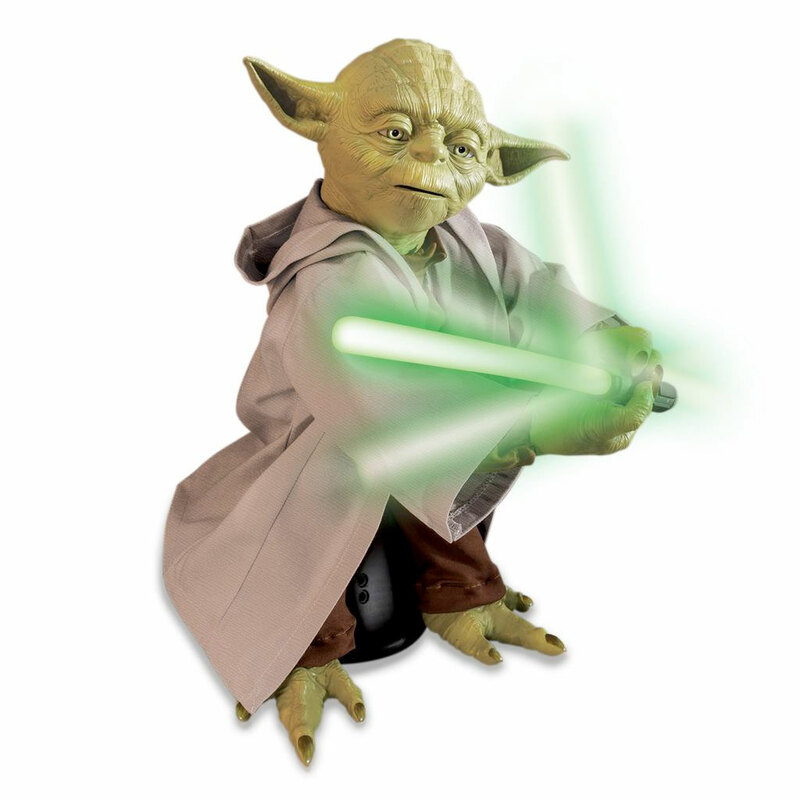 WARRIOR MODE: Learn from the greatest warrior of all time as Yoda swings his signature green light-up Lightsaber! Seven motors power his breakthrough 360-degree, lifelike movement. You can send him on the attack, or follow along with his advanced Lightsaber techniques as he guides you on the path to Jedi Mastery. 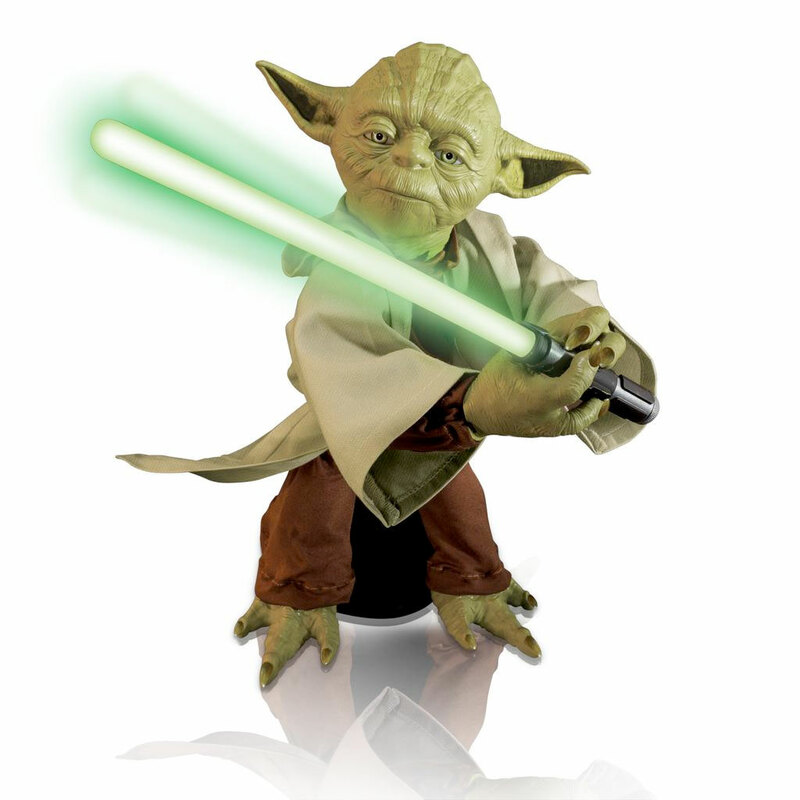 FORCE MODE: Learn the ways of the Force as Yoda unleashes iconic quotes from the Jedi Order. 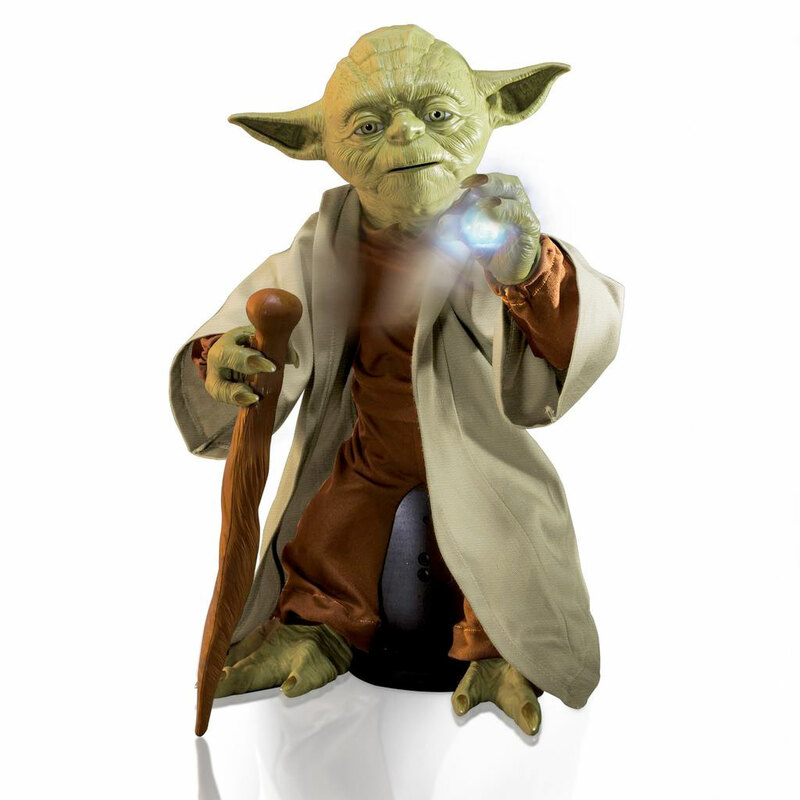 When the dark side threatens, Yoda&apos;s hand lights up with a glowing "force blast!" Learn to force push and send Yoda flying back. 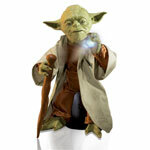 WISDOM MODE: While holding his cane, Yoda answers your questions and senses whether you&apos;re strong in the force... or the dark side. His voice recognition has six key phrases and he will answer yes or no questions revealing his secrets and wisdom. As the wisest Jedi of all time, Yoda is equipped with a dark side sensor to determine if your intentions are good or evil. 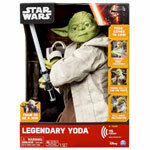 Legendary Yoda is an authentic collectable with highly detailed premium latex skin. Wearing a real fabric robe and wielding his light-up Lightsaber, this fully interactive Jedi Master brings all the wisdom and power of the Jedi Order right into your room. "Do, or do not. There is no try." Train to become a Jedi with the incredible Legendary Yoda! Star Wars products are produced by Spin Master under license from Lucasfilm Ltd. Train to become a Jedi Master with Legendary Yoda! With breakthrough 360-degree movement, he&apos;ll instruct you using Force, Wisdom and Warrior modes. Yoda&apos;s voice recognition makes him the most realistic Star Wars toy ever! He speaks 115 phrases that lead to Jedi Wisdom and Lightsaber mastery. Yoda&apos;s realistic movements display unmatched Jedi Lightsaber skills; watch Yoda perform his signature 360 Lightsaber attack! 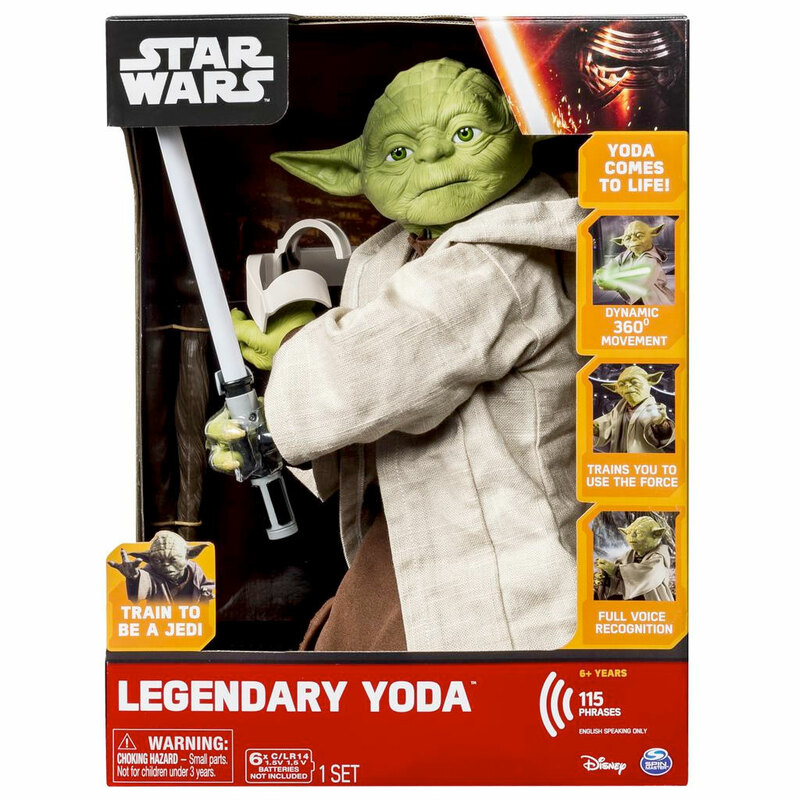 Legendary Yoda is for Jedi&apos;s aged 6+. 6 C batteries required. Batteries not included.